Next BE Group, Priya Jain speaking about pyramid power based on Hindu Astrology, Feng shui and Sacred Geometry using PYRON modules. It’s all about the energy!! 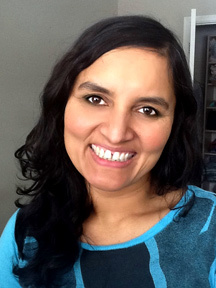 She started working in this field of using pyramids for better living as a helping hand for Swami Anand , who started doing this work in the US. What started out as a part time helping-hand position led her to this work full time. She is totally committed to making life better by spirituality, science and sustainability. 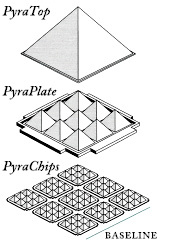 Most ancient civilizations were aware of these properties of pyramids. Though not as precisely built as on Egypt’s Giza plateau, pyramidal structures have been discovered in Mexico, South America, Himalayan valleys, China, Siberia, Central America, Cambodia, Africa, France, England and the USA. In India, pyramidal shapes were combined with domes in temple architecture. The main idol was placed under a pyramidal rooftop to generate energy in the devotees. 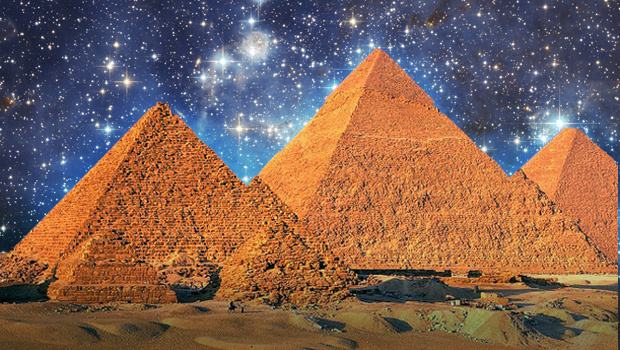 Unfortunately, with modern architecture shifting to the flattened roof concept, this unique science of harnessing unseen cosmic energies became obsolete, and with it the knowledge of pyramids. Vastu refers to anything with physical existence, matter, or any property or thing which is owned. Vastu Vidya is an ancient Indian architectural science. Used to guide construction of temples, workplaces, homes, and other buildings, it provides knowledge for creating living and working conditions which are in harmony with the laws of Nature. A Vastu house should both protect against the weather and provide a sense of well-being and comfort. Vastu deals with all aspects of a building, from the land, building materials, floor plan, and placement of doors and windows. It is the knowledge of everything used in the building and its surroundings, including subtle energy and radiations. Yantras, in Sanskrit, means instruments, whether physical, mystical, or symbolic. Yantra power diagrams are precisely calculated power diagrams. Yantras uses potent and dynamic sacred geometric configuration and concepts. Specific configurations are generated for a definite purpose, and we use it to obtain results with our inbuilt power. These yantras start from a mystic point (the bindu), the core, and unfold to concentric circuits. Meru Prishth Yantra – made in the shape of a mountain. They are broad at the base and rise to a pointed apex. Patal Yantra – Carved in the reverse shape of ‘Meru Yantra’, with their apex pointing downward. Meru Prastar Yantra – These are the cut yantras. Ruram Prashth Yantra – Forged yantra with a rectangular bottom and a tortoise-back top. Prithvi Tatva (The Earth element) – These yantras bestow comforts, contentment, fulfill ambitions, and attain success. Jal Tatva (The Water element) – These yantras bestow love, smoothness, affection, wisdom, and removes restlessness. Agni Tatva (The Fire element) – These yantras bestow success, respect, victory, and removes troubles. Vayu Tatva (The Air element) – These yantras are very powerful, but if not properly used, they can lead to difficulties, disrespect, and also attracts the user to vices. Akasha Tatva (The Ether element) – These yantras bestow love, affection, education, success, spirituality, and removes worries. Pyramid Vastu (PyraVastu) is complementary to Vastu and Feng Shui but its dynamic action starts exactly at the opposite end. Using both to complement each other is just like using medicine and meditation together for achieving health. Vastu and Feng Shui is like offering solutions for outer and visible ends, like thousands of branches and leaves. PyraVastu deals with the roots, or vital force, behind all action within it. It is an innovative concept of subtle level correction with pyramid yantras based on mind over matter. It deals with our inbuilt power and ability of Mind-Body-Emotion. This powerful intention at the core level induces energy within us. Thus, subtle energy level correction is more powerful than that done by material or physical means. The first principle in PyraVastu is that of Mind over Matter. Pyramid Yantra is a revolutionary power tool which looks quite similar to the Egyptian pyramids but its working principle is very different and it can be used for numerous specific purposes. This system is designed in such a practical way that anybody can implement it in their lives even for better solutions for day to day problems. Pyramid Yantra works at the core of all things and beings in existence and hence helps in creating balance and harmony at the core of all our problems. It is a very versatile Mind Power Tool (MPT), which can aid where the materialistic sciences cannot offer much help. This new MPT can be used in symbiosis with any other discipline of mental, physical, and emotional wellness. It enhances the effect of any healthy living system like Yoga, Meditation, Healing, Astrology, Vastu, Feng Shui, and many others. Mind over matter – Mind is more powerful than body in the same say energy is more powerful than matter, yantra is more powerful than constructions, and center is more powerful than yantra. Tattvas – Of the five Tattvas, the two physical Tattvas are most significant to PyraVastu: Fa (Purush – Male, Powerful Intention) and Maa (Prakriti – Female, Pure Love). Space – Accurate space for the specific purpose. The five elements – Earth, Water, Fire, Wind and Space (or Ether) have to be brought into harmony in the environment and body. Central Axis – Each space is connected through its center to other spaces. The center of a yantra communicates to the center of its room, the center of each room communicates with the center of the house, and the center of the house communicates with the center of the man residing there. PyraCenter – The core of any object or system. Each room has 7 PCs; one in each of the four sides and the ceiling and floor, and one PC in the center of the room. When there are boundaries, the enclosed space is a bounded space. The bounded space has internal effects and effects in harmony with the outer space. Its own working depends upon the geometry of the boundary. Pyramid yantra uses a technique to take advantage of the properties of bounded space. The power of pyramid yantra is based on the permutation, combination, and interaction of such known multiple spaces. So multiple space is one of the most important factors in PyraVastu. A Pyramid Yantra uses 91 interactive chambers, through the power generation formula 9×9. This 9 times 9 law is used in astrology (9 planets), numerology (9 numbers), Vastu and Feng Shui (grid of 9), and in traditional Islamic, Chinese, and Hindu yantras. The power generation formula of Pyramid Yantra is used through an inner layer of 81 micro chambers (9 chambers along a side with 9 chambers along the other side and the inner space filled with micro chambers), a layer of 9 middle chambers surrounding the micro chambers, and one top outer chamber. The pyramid yantra is a miniature version of a pyramid. It can be a single pyramid or a set (usually in multiples of nine) of pyramids arranged either horizontally or vertically (one above another), called ‘multier’.